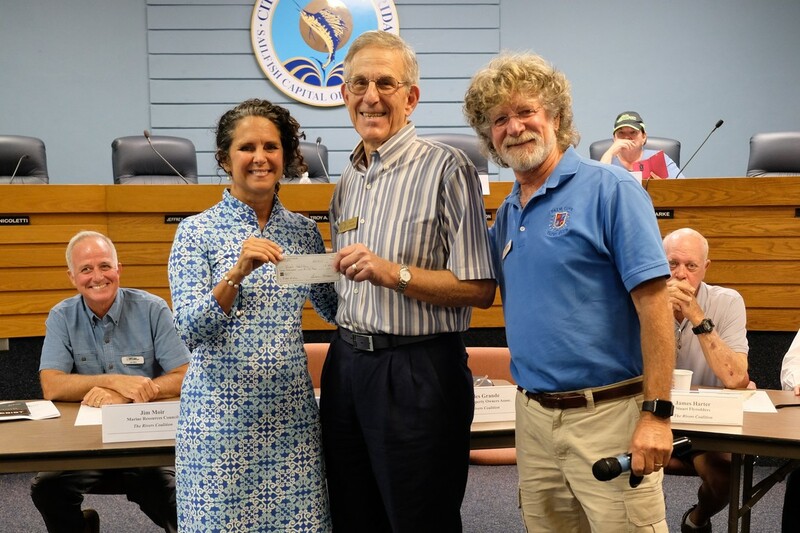 Vice-Commodore, Ron Gots, presented a check for $752 to the Rivers Coalition - River Kidz Project at a Rivers Coalition meeting held in the Stuart City Hall chamber room. River Kidz, a program that was started by two Sewall’s Point fifth grade girls in 2011, now has hundreds of members, has a workbook, is taught in many private and public schools and has divisions in St. Lucie and Lee counties. The project teaches young children about the environment and to speak out, get involved and raise awareness regarding our waterways. The funds came from the recent BUNCO Night sponsored by the PCYC.